Oliver, a set on Flickr. 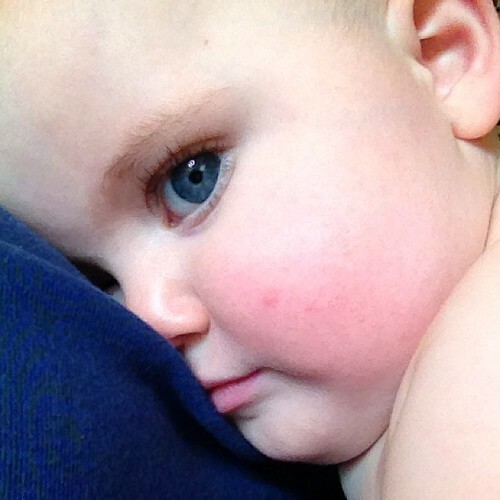 I can't believe my tiny peanut of a baby is over a year old now. If you want to relive the first sleepless year click on through to the photo set on my flickr site which is chock full of baby pictures. 1 year checkup, a photo by Venus In Furs on Flickr. 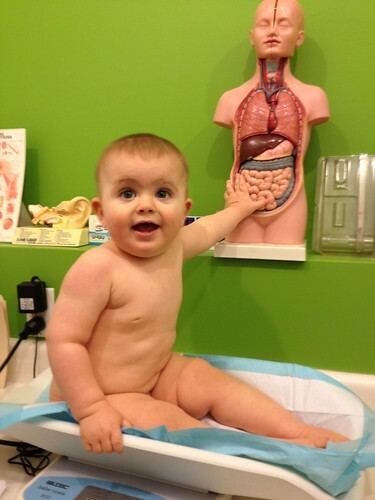 Yesterday we took Oliver to the doctors office for his 1 year checkup. All is good in Oliver-land. He's big (in the 91st % for height and 87% for weight) and healthy. He got a couple shots and a TB test and he took them like a champ. He's babbling and toddling and eating everything he can get his hands on. He's becoming a little person, and starting to develop a little personality. It's nice to watch. It's also heart warming to see him toddle and lunge after his brother. Finally, after months of being tackled by Gibson he's at long last able to tackle back. I'm sure it's the just the start of the antics. 029, a photo by Venus In Furs on Flickr. 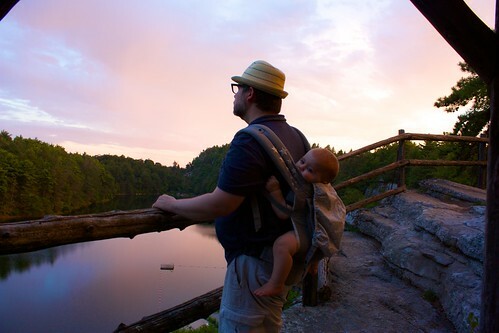 Oliver spend much of our trip to the Mohonk Mountain house just like this.... on daddy's back. Todd hiked all over with Ollie back there. I think this photo is one of my favorites..... the twilight sky reflecting off the lake, the almost sleeping baby and Todd taking in the breathtaking view..... I for one can not wait to go back.... Thanks to Pops for making our trip for Granie's surprise 70th birthday happen. Just in time for his birthday! a video by Venus In Furs on Flickr. 51 weeks. No filter., a photo by Venus In Furs on Flickr. He is currently bursting out of clothing sized 12 months, so I'd stick to 18-24 month stuff (24 month and/or 2T is definitely too big/long. 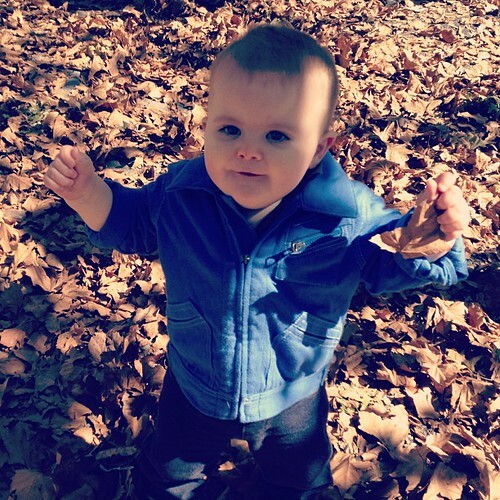 We have so so so much summer stuff, so clothing wise he could use some things autumn/winter to fill the holes left by hand-me-downs from Gibson.